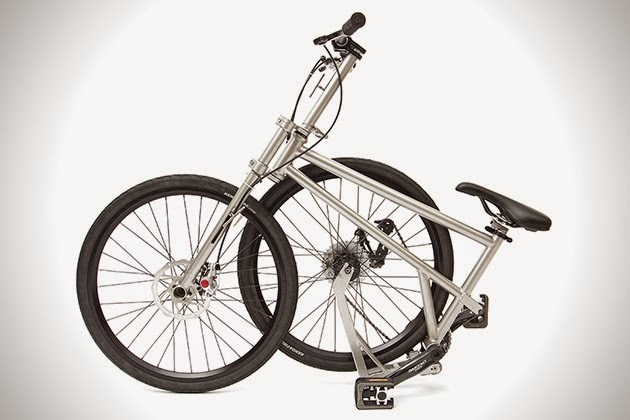 This 9-speed bike uses patent pending side-by-side technology, almost Transformers-like, as it folds down to the size of its wheels. This makes it an easy fit in a car trunk, and at 21 lbs. 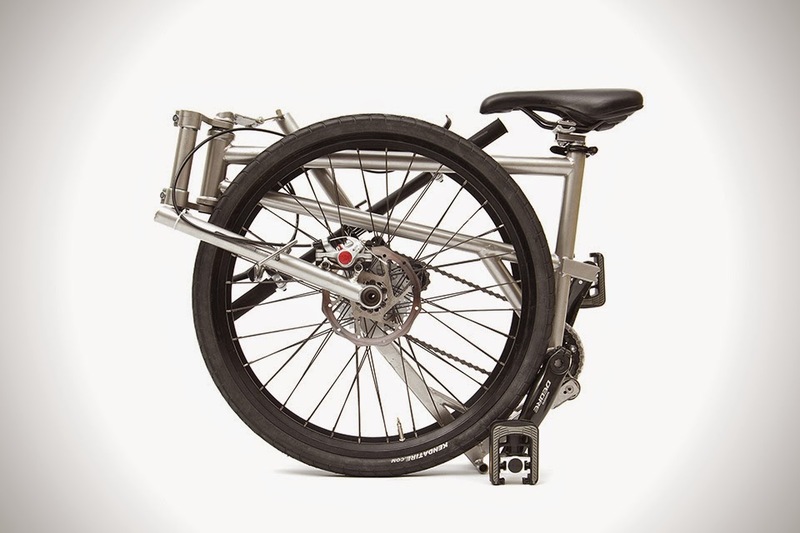 it’s also easy to bring onto the bus or subway as it can be rolled on its own wheels. 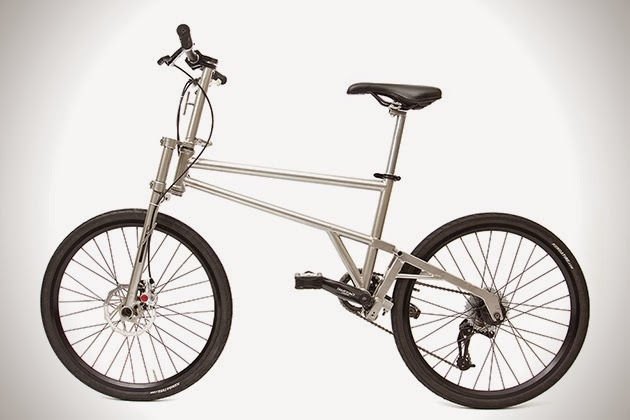 The titanium frame is handmade in Canada and its pass-through locking design with secondary safety promises a worry-free ride. 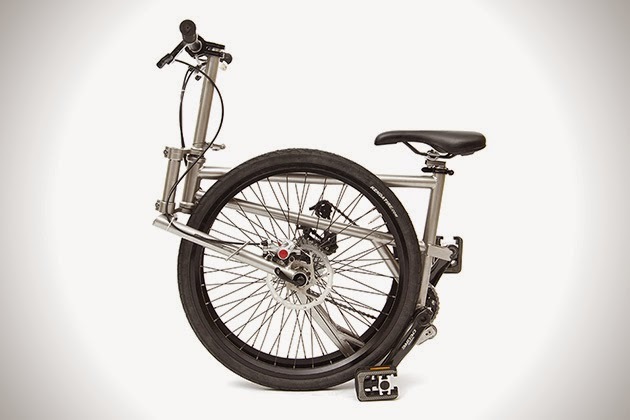 A spring-loaded locking device compensates for wear, while the side-by-side folding allows for a one-piece hinge-free frame that won’t flex or creak while pedaling.